Great quality flower suspender skirt with red butterfly belt decoration. 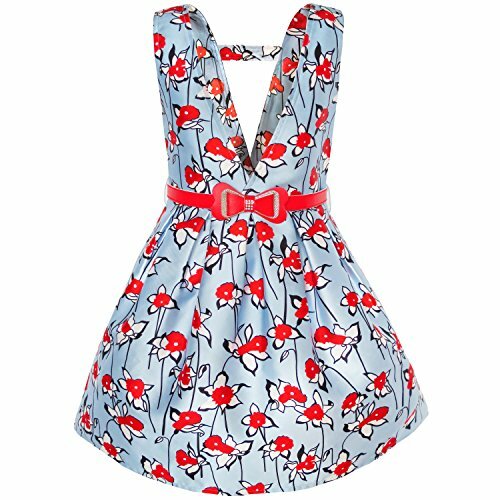 Perfect for your little girls' and big girls' any special occasion, birthday party,back to school party and everday wearing. Following size means age ranges for girls, they are for general guidance only. For most accurate fit, we recommend checking detailed measurement before purchase.